President Maithripala Sirisena has directed IGP Pujith Jayasundera to conduct an immediate investigation into complaints of alleged harassment caused by Uva Chief Minister Chamara Sampath Dassanayake to a female school principal in Badulla recently. 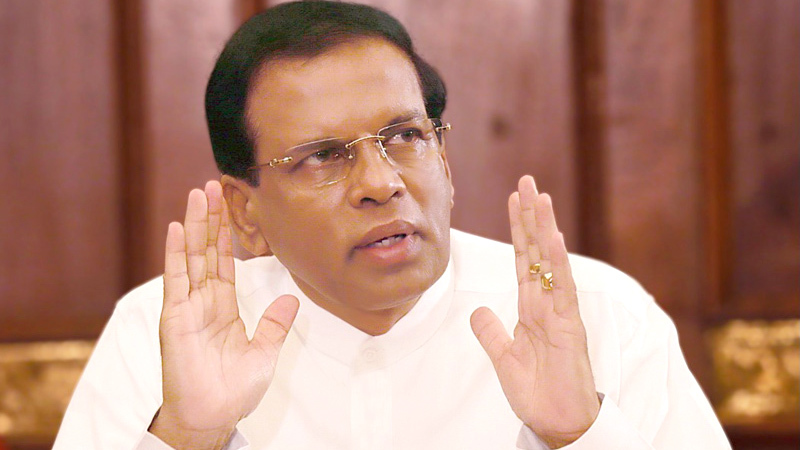 The President has also asked the Uva Governor to take over the functions of the Uva Province Education Ministry temporarily, to ensure a just and fair investigation into these allegations. The President has directed the IGP to take any suitable legal action recommended in the investigation report. The principal was taken to the Badulla General Hospital yesterday where she was declared as being mentally sound. Thereafter she was asked to accompany the Police to the Chief Minister’s home, a move which met with opposition by JVP Uva Provincial Councillor Samantha Vidyarathna and UNP MP Vadivel Suresh who were present. They objected to the principal being taken to CM’s residence by police to the place where the incident was said to have taken place. 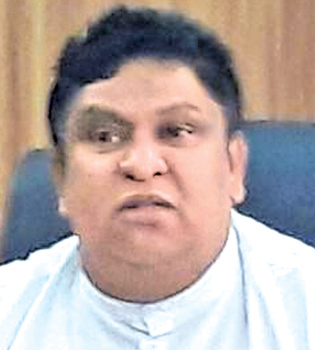 Meanwhile, Uva Province Chief Minister Dassanayake, who is alleged to have forced the female principal to kneel before him, yesterday said he resigned as Provincial Education Minister. The Chief Minister said he decided to step down as Provincial Minister of Education until investigations on the allegations against him are completed. Addressing the media at his office the chief minister said the letter of resignation has been forwarded to the Governor of the Uva Province. Dassanayake however denied the allegations against him while adding that it was a part of a conspiracy by his political opponents to tarnish his image. The Chief Minister said he was confident that his name will be cleared after the investigation. It has been alleged that the Chief Minister had summoned the Principal of the Badulla Tamil Girls’ School and reprimanded her for disregarding an order sent by him to admit a student to a school. The Chief Minister has allegedly made the principal kneel and apologize to him. The Ceylon Teachers’ Union recently threatened to go on strike if appropriate action is not taken against the Chief Minister. The Human Rights Commission too said it has begun an investigation into the incident, following a complaint. If Rajvirs murders could walk free tis should be a walk in the park.